This must-have reference covers all of the major areas of cost accounting and analysis including product costing, relevant costs, cost-volume analysis, performance evaluation, transfer pricing, and capital budgeting. Includes methods of reorganizing, classifying, allocating, aggregating, and reporting actual costs and comparing them with standard costs. Equips experienced cost accountants with a reference tool and students with a thorough textbook. Provides numerous examples, succinct language, chapter review, glossary, and appendices. Includes an abundance of exercises, many of which are based on exam questions from the CPA and CMA exams. 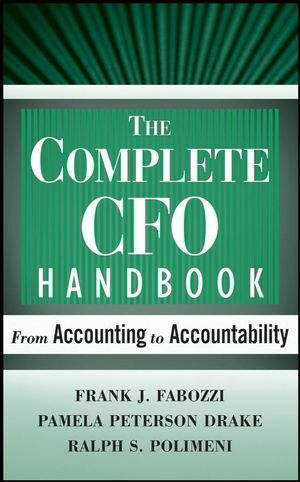 Frank J. Fabozzi, PhD, CFA, CPA, is Professor in the Practice of Finance in the School of Management at Yale University. He is a Fellow of the International Center for Finance at Yale University and serves on the Advisory Council for the Department of Operations Research and Financial Engineering at Princeton University. He has authored and edited numerous books in finance. Pamela Peterson Drake, PhD, CFA, is the J. Gray Ferguson Professor of Finance and Department Head of Finance and Business Law at James Madison University, Harrisonburg, Virginia. She is author or coauthor of numerous books and articles. Ralph S. Polimeni, PhD, CPA, is the Vice Provost for Accreditation and Assessment and holds the Chaykin Endowed Chair in Accounting at Hofstra University, Long Island, New York. He has authored numerous articles and books on accounting.